Beauty brands are bedecking with deco! Art deco, to be clear. Here, a round up of some of my favorite ’20s-inspired product packagings. Check it. Viva By Fergie fragrance $30 at shop.avon.com. Cool herbs spiked with fresh lavender and earthy vetiver punctuate this perfume, the face of which is the lovely Fergie, who’s recently traded in her lady lumps for baby bumps. Mazel! Jonathan Adler for BareMinerals Deluxe Original Foundation ($60 on sephora.com for the product + collectible box) Beautifully packaged in bright hues, my favorite home furnishings guru Jonathan Adler puts his inimitable stamp on this mineral makeup classic which launched a thousand copies. 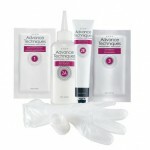 It comes in five shades and is great for summer sweaty skin. Benefit Cosmetics Ultra Plush Lip Gloss ($16 at benefitcosmetics.com) This gorgeously packaged collection for Benefit’s Spring 2013 line boasts six hydrating gloss hues (the one pictured above is Lollibop) and an array of cream and powder shadows. One glance at the very Daisy Buchanan-style design and you’ll be hooked. 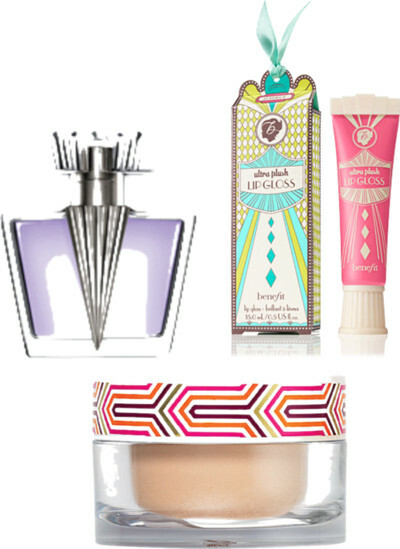 Are you a fan of art deco’s recent rise in the world of beauty product packaging? Let’s discuss! Backstage Beauty: Viva Las Vegas At Lela Rose!